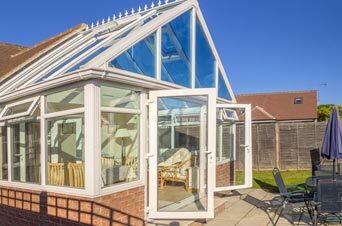 Building a conservatory is a goal for many families. It’s an extra room on your house, but one that has maximum natural sunlight and excellent visibility of the surrounding area. 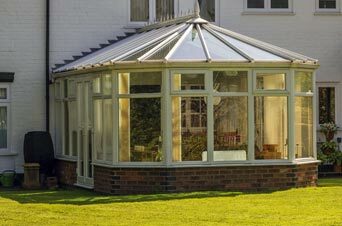 Conservatory installation is not difficult or particularly expensive, but there are a few things that need to be considered before you start. Planning permission may need to be obtained, though it generally isn’t. However, is your home is a listed building, it has already been extended in the past, or if you live near a conservation are, you will likely need to obtain planning permission. If your planned conservatory exceeds the “permitted development limit”, is planned to be built on the front of your house, or you intend to use it for activities other than purely domestic one, you will need planning permission. The “permitted development limit” is usually between a generous 50 cubic metres and 70 cubic metres. That can easily allow for the average sized conservatory, but if the house has already been extended at some time, there might not now be enough space left. You need to check this with your local planning office. There are basically two ways to install a conservatory: do it yourself, or hire a builder or conservatory installation specialist. Doing it yourself is not particularly difficult, if you already have some experience in erecting buildings. If you have never tackled that kind of thing before, it’s probably better to rely on an expert. While that will cost you more in terms of money, it will likely cost you a lot less in terms of problems. If you go the route of finding a builder of conservatory specialist, try to find one who is a member of either the Double Glazing and Conservatory Ombudsman Scheme (DGCOS), or the Federation of Master Builders (FMB). The DGCOS is an organisation dedicated to consumer protection, and the FMB is an independent trade organisation dedicated to promoting standards of excellence. Members of both organisations are carefully vetted for good business standing, and for an acceptable skill standard. They are also expected to follow a strict industry code of practice. You should not go with the first decent builder you come across. Find several that are acceptable, and get quotes from each one. Don’t necessarily take the lowest quote either, but look for the best mix of competence and price. It is quite normal to ask builders for references, and to see examples of past work. Once you have chosen a builder, keep an eye on what they do, and never pay the full asking amount until you are completely satisfied with the quality of the job. 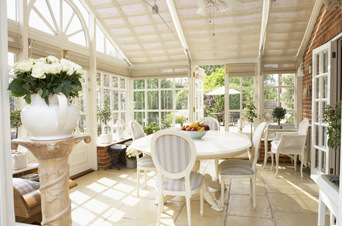 Conservatories come in all sizes, but are usually somewhat smaller than the size of an average room. They are usually glass covered through a series of windows, and usually also have a low brick wall that surrounds the conservatory. If you live in the Birmingham, Redditch and surrounding areas, pinnacle-windows.co.uk are one of the most experienced conservatory installation specialists serving the area. 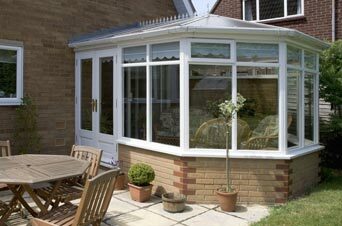 They offer a wide variety of conservatory styles at prices to suit everyone.